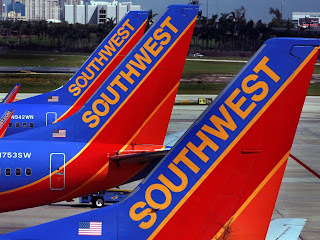 Desperately Seeking Adventure: Flying High... Southwest Airlines! Flying from Newark Liberty, NJ to Las Vegas, NV via Phoenix, AZ with Southwest Airlines allowed me to see 'No Frills' from an American perspective. Whilst my friends Tom and Paolo flew with Delta Air Lines, would my budget Southwest Airlines experience champion their series of unfortunate events? So, America's answer to 'easyjet' impressed me for several reasons. I must admit it was quite strange to be at Newark Airport as a passenger because my Industrial Placement takes up most of my time spent at the airport. Nevertheless holidays my Vegas holiday had arrived, after printing my boarding card and clearing TSA screening I felt the holiday vibe kick in! Bound for Phoenix, AZ with my Las Vegas experience about to begin my Southwest jet boarded in a manner that was both organised yet crazy. As I've had the pleasure of travelling with Ryanair, I was pleasantly surprised not to see passengers running to the boarding gate after the first announcement to wrestle for a seat. As I work for an airline the usual questions from passengers like 'is this the boarding gate for this flight?' Yes, I did the unthinkable by making the same mistake, to then later find out that on US domestic flights I.D doesn't have to be checked, even UK domestic flights require passport checks! But do they? Southwest Airlines amazed me by not charging for their non-alcoholic drinks and snacks, well when I'm on my holidays soft drinks are simply a mixer, please! I was embarking on my very first holiday since starting my Industrial Placement and I wanted my flying experience to be as good as my holiday time! Our crew passed through the cabin shortly after take-off with their quirky clipboard and debit/credit card machines to take drinks orders, no trolley dollies on-board this Phoenix, Arizona bound flight. Due to the light load of passengers on this flight I made myself comfortable lounging in my very own row. Beverly, one of the lovely crew members fulfilled my request that was a Gin and Tonic, only $4 dollars as the tonic was free, what a bargain! As I neared the end of my first holiday drink I requested another Gin and Tonic brandishing my debit card to be told "Honey, don't worry about it" looking like it was free drinks, I was living my Southwest dream! No, Ryanair it was not! Touching down at Phoenix's Sky Harbor International Airport feeling very boozy, making my way to the transfer screen to see which gate my Las Vegas bound flight would board from. Grabbing a small pizza, I needed to keep it together because my Newark flight to AZ had been boozy indeed. 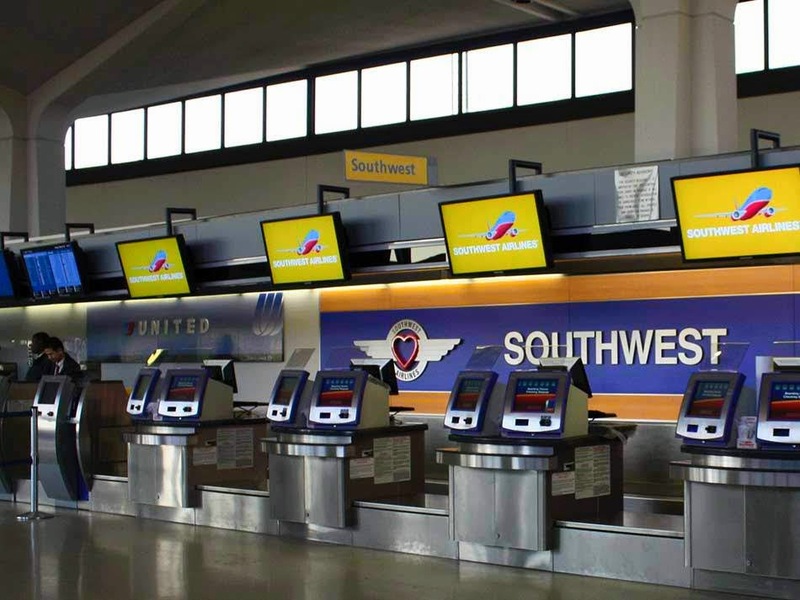 The experience transferring flights with Southwest was fine, I didn't have to change terminals or concourses so I had no stress, if truth be told I was quite apprehensive about changing planes. Boarding my Las Vegas flight I had to move because a passenger needed to sit by the window with his oxygen tank, I bargained for another drink because I was in that crazy Vegas mood, or just feeling like I had too many Gin and Tonics by that time? A bit of both I protest! Meanwhile Tom and Paolo had been delayed in Newark and had been transferred onto another flight, I didn't pay any mind because I had a smooth trip without any hitches at all! Yaass, SWA! Looking back at the time when I booked my Southwest Airlines flight it was a very rushed decision, I wanted to fly from Newark direct with United Airlines but my budget would not allow those ridiculous prices, I know that making my Southwest choice to fly via Phoenix Sky Harbor Airport to Las Vegas was meant to be! United, thanks for being so damn expensive! I also looked at the possibility to fly on the same flights as Tom and Paolo but their flight times via Memphis were crazy and their return flight landed into New York La Guardia Airport! Newark Liberty International Airport only being twenty minutes or so from my Ironbound residence had me ditching any LaGuardia arrival! I am proud to say that all of my Southwest Airlines flights pushed back and arrived bang on-time, which worked great because I was pretty worse for ware on the return leg from Phoenix to Newark, actually I almost missed that flight! Oh Phoenix, you already know that Tequila was the one! Not good Joe! 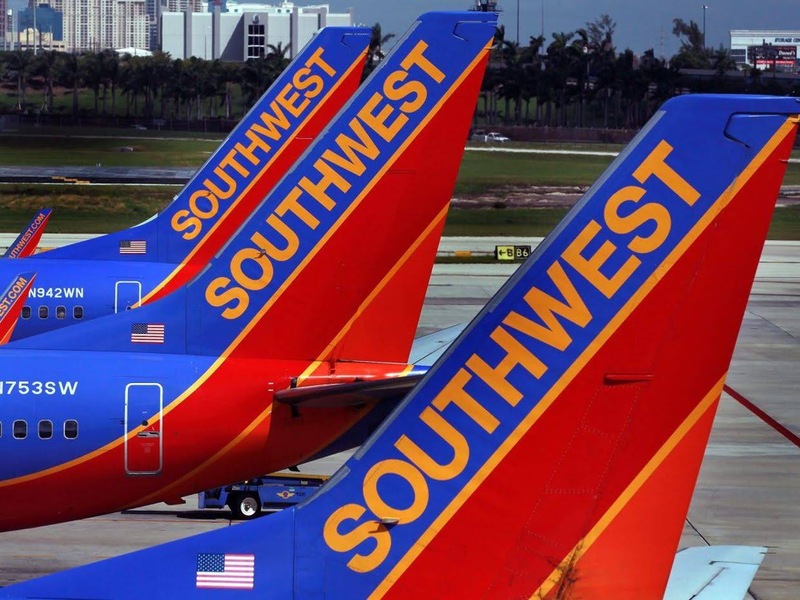 No meal service for Southwest Airlines, that's just not the way this airline does things. Southwest Airlines like to mix things up by offering snack packs, mind you I was starved so the crew slipped me a few extra treats. My special pre-Vegas cocktails kept coming throughout the flights, adding that my friends were on a different flight amazingly made the crew take care of me more. It was like no other set of flights that I had experienced, our flight service manager from Newark to PHX looked just like Dolly Parton with her country talk and bouffant hair style, comedy was served up in place of a hot air-plane meal. Southwest, an airline that serves every beverage with a smile, rivalling their budget Irish cousin Ryanair. Arriving at Las Vegas McCarran International Airport before my friends, I found a little spot in the middle of baggage reclaim to have a nap! I was a mess but it was completely justifiable because it was Vegas! Honestly, speaking I usually travel with Delta Air Lines domestically within the United States so I've had the pleasure of transiting through the monster that is Atlanta Hartsfield Jackson International Airport so I know to keep my cool and look for the correct gate. Delta had my friends delayed and their inbound flight was just not something I wanted to deal, no overnight flights before work! The meal service might have been non-existent but I embraced the budget service, those snack boxes contained yummy treats like Oreos, Ritz crackers and more things I can't quite remember because I was so boozy. In-flight meals aren't usually very good so I was able to deal without one on Southwest. Would I fly with Southwest Airlines again in the future? The service was great and I arrived at my intended destination and back to Newark Liberty bang on-time! It goes without saying that Southwest Airlines are awesome, so I know I made the right decision over their market competitors! Fly S!